I woke up the other morning craving fried eggplant. That’s never happened to me before. Probably not to you either. Maybe it was because I had a beautiful globe eggplant in my galley from the Annapolis Farmer’s Market. Along with tomatoes, onions and peppers. So it was time to get creative. Peel and slice the eggplant. Sprinkle with salt and let sweat in a strainer. Chop the rest of the vegetables, add salt & pepper and set aside. After 10 minutes of “sweating” pat the eggplant dry and proceed with the breading. 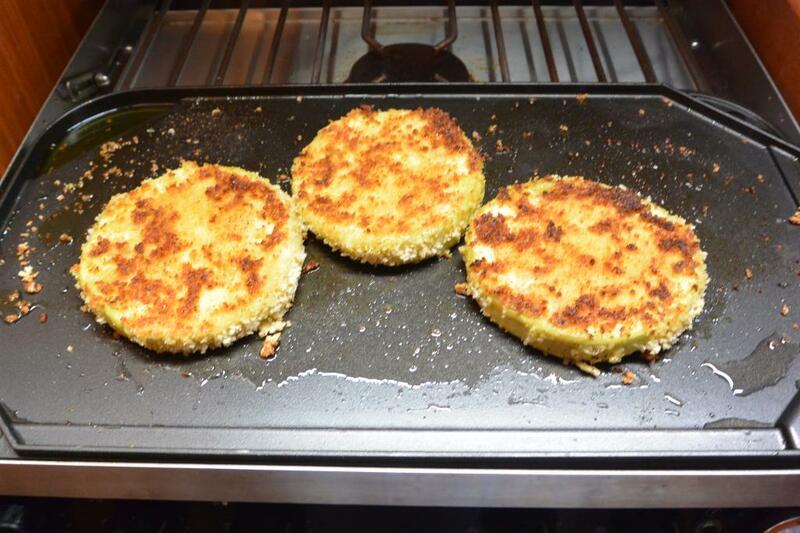 Coat the eggplant with flour, dip into the egg wash, then finish by coating in the bread crumbs. 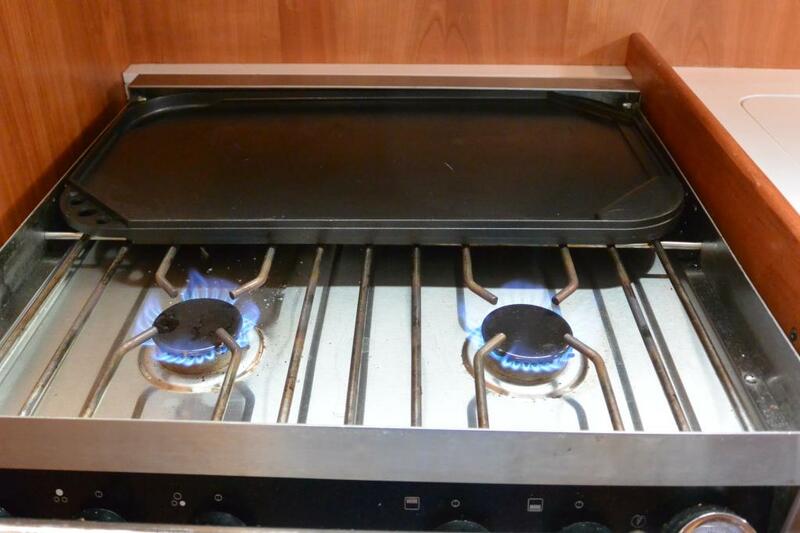 A double burner grill pan is perfect for a galley stove top. Fits tight and has two grilling surfaces, flat on one side, grooved on the other. Light your two burners. 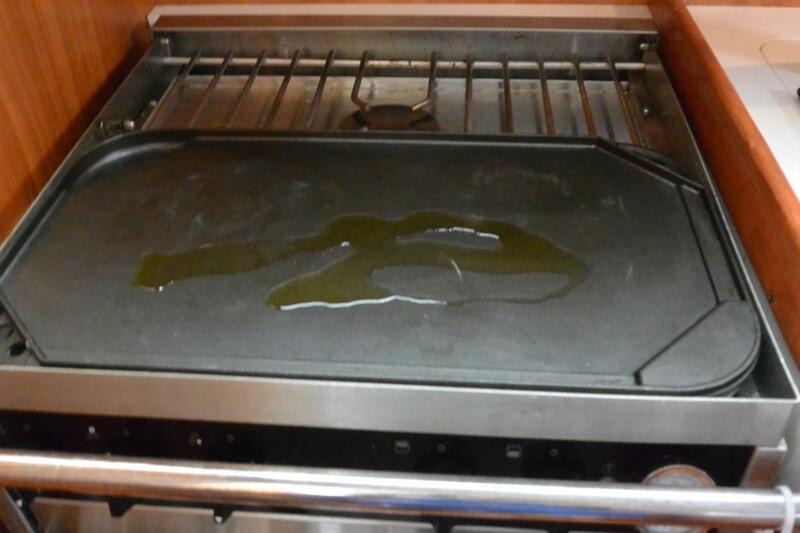 Grease your grill pan with the olive oil. Eggplants are sponges so you may have to add more oil as you are frying them. Fry on medium heat until they are crisp on the outside, but soft on the inside. Take off the griddle with a spatula and place on a plate. 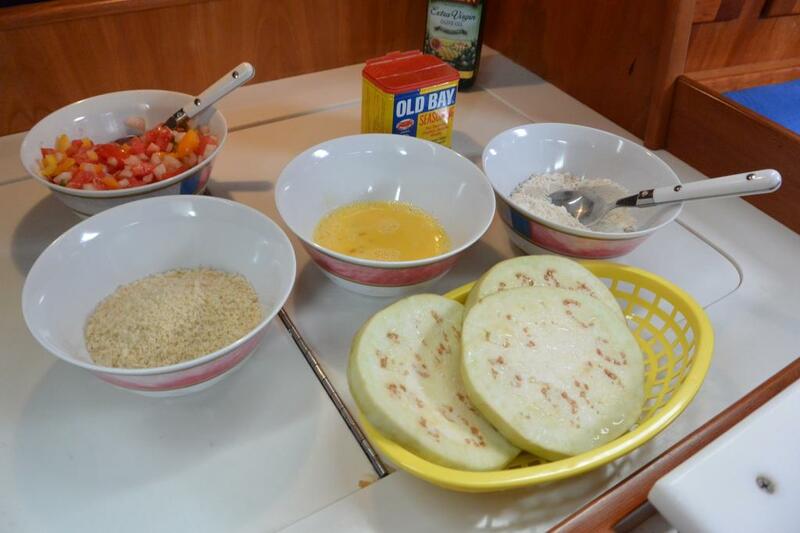 Top with the vegetable mixture. Meanwhile, wipe the griddle with a paper towel, add oil or butter and fry your two eggs. 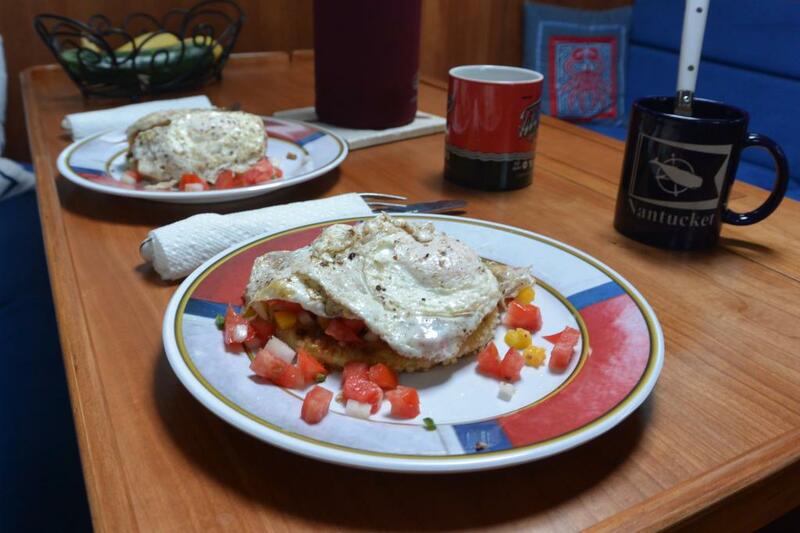 Place them on top of your vegetable stack and sit down to a hearty breakfast.